Because the Book of Mormon is full of fascinating content, it invites numerous ways to study it. Since the day it was published, a diverse and expanding body of reader responses, research, and analysis has been produced by ordinary readers, religious thinkers, and scholars of many kinds. This growing body of research can increase our understanding of the Book of Mormon on many different levels. Much of it is being collected and made available through Book of Mormon Central’s online Archive.1 The following summaries conveniently identify three broad academic fields through which researchers have studied the Book of Mormon. The Book of Mormon does not present itself as a work of fiction. On its pages, readers encounter the words of its authors and editors who lived in specific times and cultural settings. Thus, the better readers understand the Book of Mormon’s historical contexts, the better they will understand the prophets who wrote it, as well as its message about Jesus Christ. The appropriate relationship between scholarship and faith needs to be correctly understood and appreciated. Two extremes are especially to be avoided: Some may be tempted to completely divorce the Book of Mormon from academic research, feeling that its spiritual message has nothing to do with secular knowledge. Others might be lulled into viewing the Book of Mormon as a mere object of scholarly interest, and therefore give little or no heed to its spiritual message. The prophet Nephi harmonized these extreme views by declaring that “to be learned is good” as long as we “hearken unto the counsels of God” (2 Nephi 9:29). Because the Book of Mormon deals with both spirit and matter, with both humanity and divinity, with both time and eternity, it needs to be approached both “by study and also by faith” (Doctrine and Covenants 88:118; 109:7). 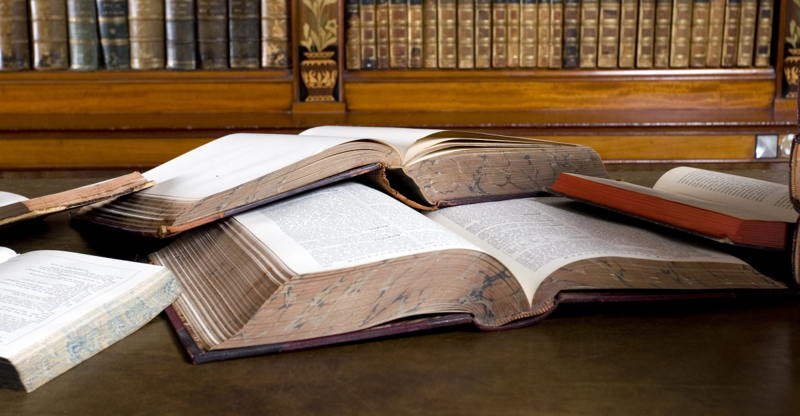 While scholarly study of the Book of Mormon can never replace the need for faith or provide a substitute for personal revelation, it can help create a “climate in which belief may flourish.”12 If scholarly research ever distorts or detracts from the Book of Mormon’s Christ-centered message, then one can sense that something about that research or its approach is not inspired of God. On the other hand, when any study brings us closer to Christ, increases our faith in Him, enlightens our understanding of His gospel, and motivates us to repent, then we can know “with a perfect knowledge it is of God” (Moroni 7:16). John W. Welch, “The Power of Evidence in the Nurturing of Faith,” in Echoes and Evidences of the Book of Mormon, ed. Donald W. Parry, Daniel C. Peterson, and John W. Welch (Provo, UT: FARMS, 2002), 17–53. Boyd K. Packer, “The Mantle Is Far, Far Greater Than the Intellect,” BYU Studies Quarterly 21, no. 3 (1981), 259–278; this address was originally delivered to CES and Institute instructors in the Fifth Annual CES Religious Educators’ Symposium, August 22, 1981. 1. See Book of Mormon Central Archive, online at archive.bookofmormoncentral.org. 2. For a sampling of this research, see John W. Welch, Neal Rappleye, Stephen O. Smoot, David J. Larsen, and Taylor Halverson, eds., Knowing Why: 137 Evidences That the Book of Mormon Is True (American Fork, UT: Covenant Communications, 2017); Brant A. Gardner, Traditions of the Fathers: The Book of Mormon as History (Salt Lake City, UT: Greg Kofford Books, 2015); John L. Sorenson, Mormon’s Codex: An Ancient American Book (Salt Lake City and Provo, UT: Deseret Book and Neal A. Maxwell Institute for Religious Scholarship, 2013); John W. Welch, The Legal Cases in the Book of Mormon (Provo, UT: BYU Press and the Neal A. Maxwell Institute for Religious Scholarship, 2008); Daniel C. Peterson, ed., The Book of Mormon and DNA Research (Provo, UT: Neal A. Maxwell Institute for Religious Scholarship, 2008); “Book of Mormon and DNA Studies,” Gospel Topics, on lds.org; John W. Welch, David Rolph Seely, and Jo Ann H. Seely, eds., Glimpses of Lehi’s Jerusalem (Provo, UT: FARMS, 2004); Donald W. Parry, Daniel C. Peterson, and John W. Welch, eds., Echoes and Evidences of the Book of Mormon (Provo, UT: FARMS, 2002); John A. Tvedtnes, The Book of Mormon and Other Hidden Books: Out of Darkness Unto Light (Provo, UT: FARMS, 2000); John W. Welch and Melvin J. Thorne, eds., Pressing Forward with the Book of Mormon: The FARMs Updates of the 1990s (Provo, UT: FARMS, 1999); John W. Welch and Stephen D. Ricks, eds., King Benjamin’s Speech: “That Ye May Learn Wisdom” (Provo, UT: FARMS, 1998); Noel B. Reynolds, ed., Book of Mormon Authorship Revisited: The Evidence for Ancient Origins (Provo, UT: FARMS, 1997); Stephen D. Ricks and John W. Welch, eds., The Allegory of the Olive Tree: The Olive, the Bible, and Jacob 5 (Provo, UT: FARMS, 1994); John W. Welch, ed., Reexploring the Book of Mormon: A Decade of New Research (Salt Lake City and Provo, UT: Deseret Book and FARMS, 1992); John L. Sorenson and Melvin J. Thorne, eds., Rediscovering the Book of Mormon: Insights You May Have Missed Before (Salt Lake City and Provo, UT: Deseret Book and FARMS, 1991); Stephen D. Ricks and William J. Hamblin, eds., Warfare in the Book of Mormon (Salt Lake City and Provo, UT: Deseret Book and FARMS, 1990); Hugh Nibley, The Prophetic Book of Mormon, The Collected Works of Hugh Nibley, Volume 8 (Salt Lake City and Provo, UT: Deseret Book and FARMS, 1989); Hugh Nibley, Lehi in the Desert/The World of the Jaredites/There Were Jaredites (Salt Lake City and Provo, UT: Deseret Book and FARMS, 1988); Hugh Nibley, An Approach to the Book of Mormon, The Collected Works of Hugh Nibley, Volume 6 (Salt Lake City and Provo, UT: Deseret Book and Neal A. Maxwell Institute for Religious Scholarship, 1988); Noel B. Reynolds and Charles D. Tate, eds., Book of Mormon Authorship: New Light on Ancient Origins (Provo, UT: Religious Studies Center, Brigham Young University, 1982; reprint FARMS, 1996). Many other fascinating and important studies related to the Book of Mormon’s historical context can be found in the Journal of Book of Mormon Studies. 3. For a sampling of geography studies on the Book of Mormon, see Book of Mormon Central, “Where Did the Book of Mormon Happen? (2 Nephi 1:8),” KnoWhy 431 (May 8, 2018); Book of Mormon Central, “Why Did Mormon Give So Many Details About Geography? (Alma 22:32),” KnoWhy 130 (June 27, 2016); Dennis L. Largey, et al., “Geography,” in Book of Mormon Reference Companion, ed. Dennis L. Largey (Salt Lake City, UT: Deseret Book, 2003), 288–291; John E. Clark, “Book of Mormon Geography,” in Encyclopedia of Mormonism, 4 vols., ed. Daniel H. Ludlow (New York, NY: Macmillan Publishing, 1992), 176–179; John L. Sorenson, Mormon’s Map (Provo, UT: FARMS, 2000); John L. Sorenson, The Geography of Book of Mormon Events: A Source Book, revised edition (Provo, UT: FARMS, 1992); Matthew Roper, “Limited Geography and the Book of Mormon: Historical Antecedents and Early Interpretations,” FARMS Review 16, no. 2 (2004): 225–276; V. Garth Norman, Book of Mormon–Mesoamerican Geography: History Study Map (American Fork, UT: ARCON, Inc./Ancient America Foundation, 2008); Joseph L. Allen and Blake J. Allen, Exploring the Lands of the Book of Mormon, revised edition (American Fork, UT: Covenant Communications, 2011), 371–399; John E. Clark, “A Key for Evaluating Nephite Geography,” Review of Books on the Book of Mormon 1 (1989): 20–70; updated as John E. Clark, “Revisiting ‘A Key for Evaluating Book of Mormon Geographies’,” Mormon Studies Review 23, no. 1 (2011): 13–43. 4. For a sampling of literary publications on the Book of Mormon, see Robert A. Rees, “Joseph Smith, the Book of Mormon, and the American Renaissance: An Update,” Interpreter: A Journal of Mormon Scripture 19 (2016): 1–16; Joseph M. Spencer, An Other Testament: On Typology (Provo, UT: Neal A. Maxwell Institute for Religious Scholarship, 2016); Robert A. Rees, “John Milton, Joseph Smith, and the Book of Mormon,” BYU Studies Quarterly 54, no. 3 (2015): 6–18; Grant Hardy, Understanding the Book of Mormon: A Reader’s Guide (New York, NY: Oxford University Press, 2010); Donald W. Parry, Poetic Parallelisms in the Book of Mormon: The Complete Text Reformatted (Provo, UT: Neal A. Maxwell Institute for Religious Scholarship, 2007); Noel B. Reynolds, “The Israelite Background of Moses Typology in the Book of Mormon,” BYU Studies 44, no. 2 (2005): 5–23; James T. Duke, The Literary Masterpiece Called the Book of Mormon (Springville, UT: Cedar Fort, Inc., 2004); David E. Bokovoy and John A. Tvedtnes, Testaments: Links between the Book of Mormon and the Hebrew Bible (Tooele, UT: Heritage Press, 2003); Robert A. Rees, “Joseph Smith, the Book of Mormon, and the American Renaissance,” Dialogue: A Journal of Mormon Thought 35, no. 3 (2002): 83–112; Donald W. Parry, “Hebraisms and Other Ancient Peculiarities in the Book of Mormon,” in Echoes and Evidences of the Book of Mormon, ed. Donald W. Parry, Daniel C. Peterson, and John W. Welch (Provo, UT: FARMS, 2002), 156–189; Hugh W. Pinnock, Finding Biblical Hebrew and Other Ancient Literary Forms in the Book of Mormon (Provo, UT: FARMS, 1999); S. Kent Brown, “The Exodus Pattern in the Book of Mormon,” in From Jerusalem to Zarahemla: Literary and Historical Studies of the Book of Mormon (Provo, UT: Religious Studies Center, Brigham Young University, 1998), 75–98; Richard Dilworth Rust, Feasting on the Word: The Literary Testimony of the Book of Mormon (Salt Lake City and Provo, UT: Deseret Book and FARMS, 1997). 5. Boyd K. Packer, “‘I Say Unto You, Be One’,” BYU Devotional, February 12, 1991, online at speeches.byu.edu. 6. Jeffrey R. Holland, “The Greatness of the Evidence,” Chiasmus Jubilee, August 16, 2017, online at bookofmormoncentral.org. 7. Dallin H. Oaks, “Alternate Voices,” Ensign, May 1989, online at lds.org. 8. Russell M. Nelson, “A Testimony of the Book of Mormon,” Ensign, November 1999, online at lds.org. 10. For a discussion on the role of evidence and scholarship in relation to faith, see John W. Welch, “The Role of Evidence in Religious Discussion,” in No Weapon Shall Prosper: New Light on Sensitive Issues, ed. Robert L. Millet (Salt Lake City and Provo, UT: Deseret Book and Religious Studies Center, Brigham Young University, 2011), 259–294. For previous versions of this article, see “The Power of Evidence in the Nurturing of Faith,” in Echoes and Evidences of the Book of Mormon, ed. Donald W. Parry, Daniel C. Peterson, and John W. Welch (Provo, UT: FARMS, 2002), 17–53; Nurturing Faith through the Book of Mormon: The Twenty-Fourth Annual Sidney B. Sperry Symposium (Salt Lake City, UT: Deseret Book, 1995), 149–186. 11. M. Russell Ballard, “The Opportunities and Responsibilities of CES Teachers in the 21st Century,” Address to CES Religious Educators, February 26, 2016, online at lds.org. 12. Austin Farrar, “Grete Clerk,” in Light on C. S. Lewis, comp. Jocelyn Gibb (New York, NY: Harcourt and Brace, 1965), 26; as cited in Neal A. Maxwell, “Discipleship and Scholarship,” BYU Studies 32, no. 3 (summer 1992): 5.